KBK Interior Design has been providing timeless interior design solutions to residential and commercial projects for over twenty years. Kingsley’s design philosophy stresses a close link between the disciplines of architecture and interior decor. The end results are rich environments defined by sophisticated color palettes, refined materials and detailing that tailor these interiors to suit her clients’ desires. She has the expertise to create a wide variety of interior environments from traditional to modern. Kingsley strives to develop interior spaces with an underlying classicism that survives the passage of design trends. She is committed to coordinating design with an organized and well-managed project that consistently exceed clients’ expectations and comes in on a budget. American Society of Interior Designers member; NCIDQ professional certified New Jersey Interior Designer; ASID NJ Gold Award for Residential Bathroom Design, 2010; Featured in NBC's Design Smarts; Published in House Beautiful, Traditional Home, Veranda, Design NJ and coffee table books. Wow what a pleasure Kingsley and KBK Interiors are to work with. Kingsley has wonderful taste and style. I would highly recommend her services to anyone who is looking for help in the design of their home or business . Thank you for the nice review and your Antique finds are the best! 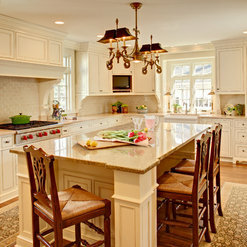 We have collaborated with Kinglsey Knauss of KBK Interior Design for over 20 years. Her attention to detail and style is quite outstanding. She is a team player and respects both the interior and exterior of an architecture project. She brings the detailed touches to our projects from an interior design perspective and gives great insight through the design process as well. Her ability to ease the client through the process is something we respect about her personally. 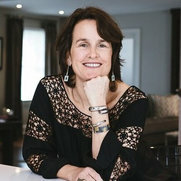 Her designs are timeless and creative and the finished product enhances our architectural homes. Thank you for the fantastic review! I look forward to our next collaboration! Kingsley is an amazing and seriously talented designer. She designed our wellness spa Eclipse Cryo and Float. Although our budget ended up being significantly reduced due to construction costs, her talent allowed us to pull off a beautiful modern high end look. We have gotten so many compliments about our space! Thank you so much for your kind words. It was truly a collaborative effort! Kingsley is extremely talented in every aspect of design and architecture. We have worked with her for the past 7 years. Not only has she helped us choose paint colors, fabrics, rugs, furniture, decor items for almost every room in the house, she has also helped us every step of the way through a home renovation. She helped us find the right architect and contractor. She actually designed our kitchen, family room, office and mud room built-ins, working very closely with the cabinet maker and contractor to ensure everything went smoothly. She listens to what your needs are and works within your budget and timeline. She can design any room from ultra traditional to ultra modern. Some designers have a specific niche and can't design outside it - that is not the case with Kingsley. As much as we have already done, there is still more decorating to do in the house. We look forward to working with Kingsley again soon! Thank you so much and I look forward to working more with you! Kingsley helped us throughout the construction process leading into our move-in date of our new home. From the small little details we would never have thought about to the more obvious finishes such as our kitchen cabinets, stone, tile, paint, fixtures, etc., Kingsley made everything cohesive and custom tailored to our tastes, which was unique, valuable and greatly appreciated. She was truly committed in helping us get everything we wanted done and was very flexible with her time to help keep the process moving. Thanks again for everything. It was nice working with you and hope we have an opportunity again. Kingsley started with a clean slate and transformed my house into my home. She walked me through the entire design process, from paint colors, wall coverings, fabric selections to furniture pieces. The end results were exactly what I envisioned and more. Kingsley is a true professional. She made sure she understood my taste and worked within my budget and timeframe. I highly recommend her services. My husband and I have had the pleasure of working with Kingsley for the last 13 years. She was instrumental in helping design & decorate our 6,000 square home (that we built from the ground up) as well as a total "inside the walls" renovation of another house we purchased. We've worked with a lot of different people and still, to this day, reflect on how impressed we are by not only Kingsley's professionalism but also her knowledge of EVERYTHING related to design & decor. We've worked with other designers and by far, rank her at the top of our list. Her goal is to give you a beautiful, comfortable place to call home but more importantly.....she is your advocate. Kingsley is there for you long after your project is completed. Thank you for the review. IT has been great to work on so many projects together! Kingsley did an incredible job with our house. We started with our family room. (And expanded a bit in almost every room of the house to tie it all together) She listened to everything we had to say and took note to how we live-3 kids and a dog and lots of friends coming through. The family room looks amazing and livable (and not like a showroom -which we did not want). She also did our powder room (gorgeous wallpaper), entrance hall, full interior and exterior house paint colors all within our budget! Next on our list for Kingsley is our living room! Thank you Gail, it was a pleasure working with you. I recently completed a custom home for a client in Westfield and the architect, Kenneth Abrams, recommended we work with Kingsley. Kingsley was instrumental in communicating her ideas to both me and the homeowner. She consistently came up with ideas that the customer and I would never have come up with on our own. 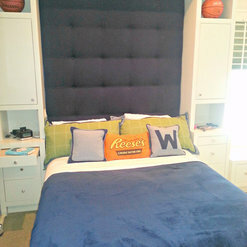 Her designs for the custom built-ins were easy for my carpenters to follow and came out even better than I expected. This and other elements she worked on became focal points of the house. I've also had the pleasure of seeing some of Kingsley's other projects. She adds a touch of luxury that will make a home feel like your living among royalty. Her personality is both positive and fun. I've already recommended Kingsley to another customer and look forward to our next project together. You are amazing to work with and thank you for the nice review! 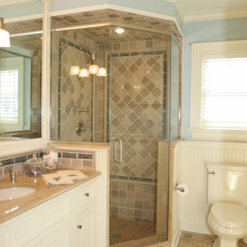 We were the general contractor on a bathroom remodel that Kinglsey designed. She used special tiling and the end result was beautiful. Kingsley was professional and a pleasure to work with. I enjoyed working with you and look forward to our next project together. Thank you for the review. 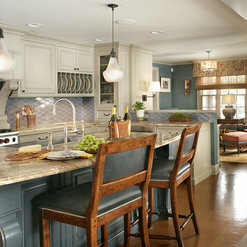 I've worked with KBK Interior Design over a span of 10+ years. Initially, my husband and I renovated and expanded a 1926 Tudor home. Kingsley became involved during the renovation process, and she helped develop - and then guided us through - all of our decorating selections throughout the entire 6000+ sq. ft. house, including interior colors, furniture, window treatments and floor coverings. She is a consummate professional who is extremely responsive to understanding the dynamic and needs of a large family and the way we envision the use of the house - room by room. 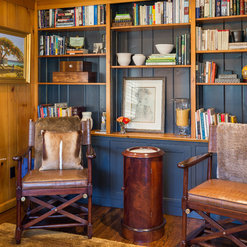 Following the main renovation, we hired Kingsley again when we added a significant custom built library and entertaining butler pantry, which she designed and contracted to have built and installed. Both areas were completed with great attention to user needs and the results are beautiful! Most recently we embarked on another full renovation of a 1920 beach home at the New Jersey shore. Kingsley and her assistant designer Connie became involved in this project at its earliest phase, when the entire house was taken down to its studs. Kingsley once again showed an extraordinary knack for combining creative flair with day-to-day usefulness, and her ability to move seamlessly from the Country Tudor style of the first project to the open plan, breezy scheme of a renovated beach house was truly amazing. The KBK team designed all of the cabinetry for the family room wall unit and conceived the full decorating scheme for the four bathrooms, eight bedrooms and kitchen. 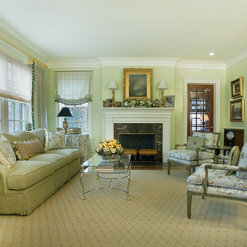 They also drove the creative elements around a bespoke fireplace mantel and crown molding throughout the home. Kingsley has a great eye for tile selection as well, and we are thrilled with the results in all of the spaces including the bathroom tiles and counter tops, kitchen counter tops and backsplash, fireplace surround and sun porch slate floor. 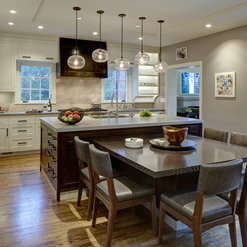 No home is complete without carefully planned lighting needs. For both of our projects, Kingsley has elegantly combined newer/contemporary selections with more traditional pieces; she has trudged through many an antique shop to find the "perfect" fixture for the right spot in our homes. She has led the process on exterior lighting fixtures as well - each is carefully selected, and most are custom made to fit the house. Finally, even when the projects were near or past completion, Kingsley has "stayed on the lookout" for furniture and other pieces that she senses will suit our preference for relaxed, old world comfort and style. Her intuition about what her customers may want to consider is uncanny, and while she takes great pride in "owning" the finished project…she believes that her work is never quite done - and in that way I feel that she loves our homes as much as we do! Wow! Thank you for your thoughtful review. I have truly enjoyed our relationship over the years and appreciation for the details that we put into every project together. Commented: Classy & elegant. Love it! What size are the corbels under range hood?I meant to say 36&quot;W cooktop! Commented: outletsOUtlets are in the sides of the column on this island, not visible in photo. Commented: what is the yellow wallpaper and where is it from please?HI Martha, This is a stencil using Benjamin Moore paints not a wall covering. We wanted the bathroom to appear more juvenile for the 7 year old daughter who uses this space most. Commented: Bench Height18&quot;H is the typical seat height. The cushion may make it about 20-21&quot;H.
Commented: Where is the carpeting from?This is a wilton weave carpet and was purchased from a &quot;to the Trade showroom. I believe it was a Schumacher carpet.